I saw this idea last year at The Decorated Cookie. 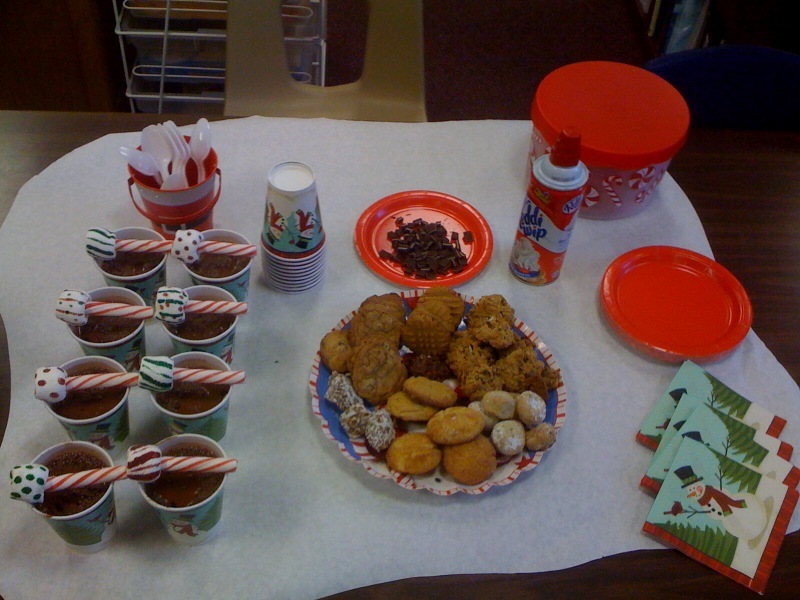 It was perfect for a hot chocolate bar my teaching partner and I put together for a meeting at work. The plus is, it's just about as easy as it gets. 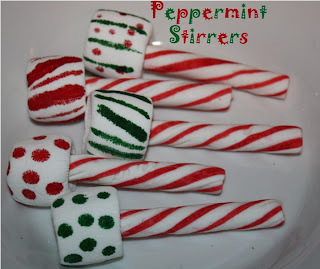 Gel markers, marshmallows, and peppermint sticks. You can just mold the marshmallow around the peppermint stick, or add a dab of white chocolate to really cement things into place. Or ignore me completely and delete me from your life forever, but I really don't recommend the last suggestion, it's not good for my well being. Great posts this week. Get ready to enjoy some well deserved time off.